On Saturday April 27th from 7:00-9:00pm we will be hosting an Open Mic Night here at the school. What is an Open Mic, you ask? Open mics grew out of the coffeehouse scene and generally lean towards acoustic music. Many talented folks gather, sign up for a time slot, and everyone gets to perform one song. It's a supportive environment to try something new and it's a great opportunity to improve your performance skills. It's the best when the entire group sticks around to listen to each other rather than ducking out as soon as their song is done. At most open mics there is a little bit of everything and the evening tends to move along quickly. 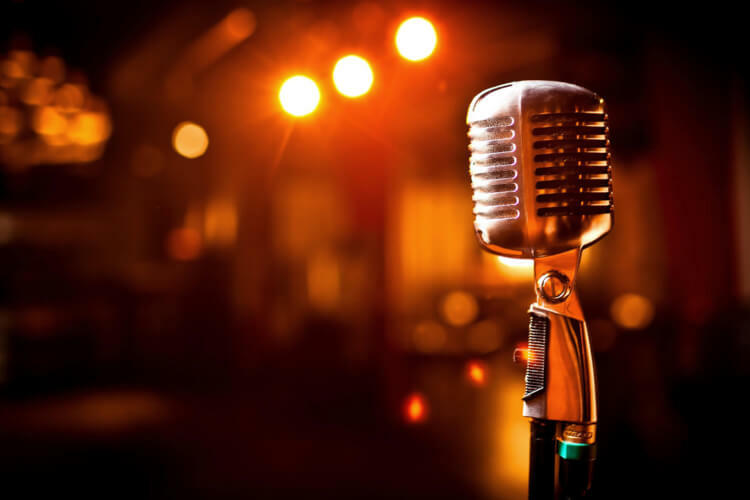 Our open mic is going to be ideal for solo acts or duos and can be acoustic or plugged in. It's going to be an amazing evening filled with performances by our own School of Rock Family and hosted by the one and only Mr. Nick! This is the perfect time to showcase your talents. You can play whatever you like at our open mic. Originals are awesome, covers are always great, but you’re also welcome to give a sneak peek at works in progress. You can even learn the theme song from your favorite game or show-it's completely up to you. Sign up at the front desk to secure your performance slot.